Professor Alexandru Rafila is currently the Chief of Microbiology Department of University of Medicine and Pharmacy “Carol Davila” and of the National Institute for Infectious Diseases “Matei Bals” in Bucharest, Romania. He received his medical degree in 1987 and attained a Ph.D degree in Microbiology in 2004. He has been a senior specialist in Laboratory Medicine/Microbiology and Public Health since 2000. He is also Honorary Personal Adviser of the Minister of Health for health policies. In addition he is Director of the Aspen Healthcare & Quality of Life Program. Dr. Rafila is the elected President of the Romanian Society of Microbiology and has served in central administration as Secretary of State for Medical Assistance and Public Health, General Director for Public Health and several times as Personal Adviser of the Minister of Health. He is a previous Director of the Public Health Institute Bucharest. In addition to his standing in his own country, Professor Rafila’s expertise is fully recognized as expert for WHO, NATO and European Commission. 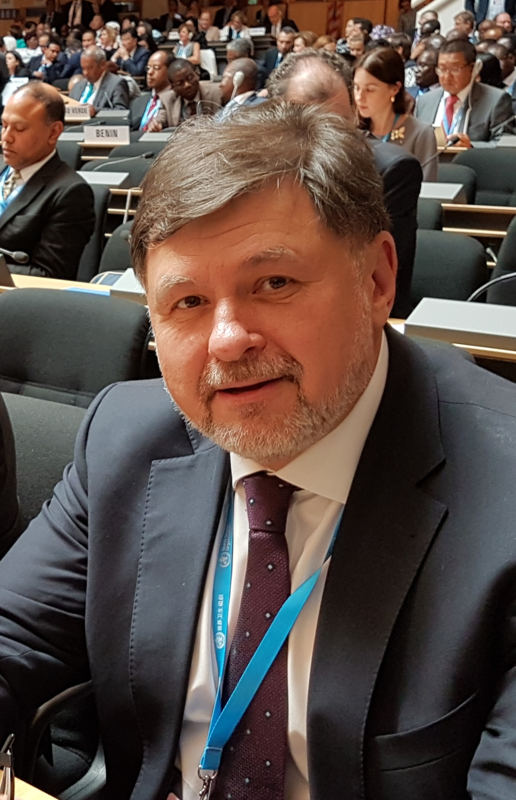 He was (2014-2017) Member of Standing Committee of Regional Office of Europe of WHO and represented Romania in the Management Board of ECDC(2009-2014). He was recently elected by World Health Assembly to represent Romania in the Management Board of the organization. Professor Rafila is an active organizer and participant in many national and international medical conferences and events on public health and microbiology. Dr. Rafila has authored articles, manuals, book chapters and guidelines for public health and microbiology practice. He decisively contributed to the reestablishment in 2016 of Medical Microbiology as a specialty in Romania based on recommendations of UEMS where he represents Romania.